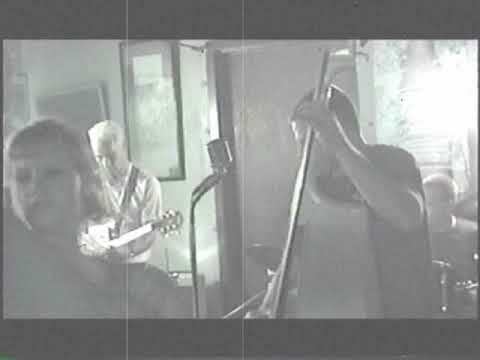 Matt Hole Trio – New Year's Eve 2001 / The Texan CCTX | Corpus Christi Rocks! This is the first Rockin’ Bones Video. It’s more like a short home movie, so no interview/multi cam stuff etc. This is New Year’s Eve 2001 at The Texan in my hometown of Corpus Christi, TX. Matt Hole Trio (formally and then again named Matt Hole & The Hot Rod Gang) have basically been THE local rockabilly band since the mid 90s. I started going to their shows in high school back in 1996 and I believe that I did a feature of them for the King High School paper in 1998. I had recently purchased a Sony Hi-8 Handicam at a pawn shop and I wanted to test it out at this show before venturing into what I thought could be like Flipside Video or Target Video with the current underground music scene by way of Texas. This has the best dancing footage of the songs that I captured. Does anyone recognize the song title? I didn’t find this one on either one of their studio albums. I have a busted external hard drive and a hi-8 video tape (without a player) of about 4 more songs, including some guest vocalist footage with their old friend doing “Sixteen Tons” (where the crowd is really liquored up) but I can’t do anything about that right now. These guys are still around today. If you dig Reverend Horton Heat, you’d like them.